In the United States, immigration is a topic that is both personal and local, civic and national, touching on issues of identity, culture, and community. As a result, the immigration debate has been emotional and contentious at every level of society, from the dinner table to the Senate floor. Too often the debate has reinforced stereotypes and divided communities. Today, there is an urgent need for new spaces where Americans—including new immigrants and receiving communities—can engage in informed and open dialogue across difference on the enduring and sensitive issue of immigration. 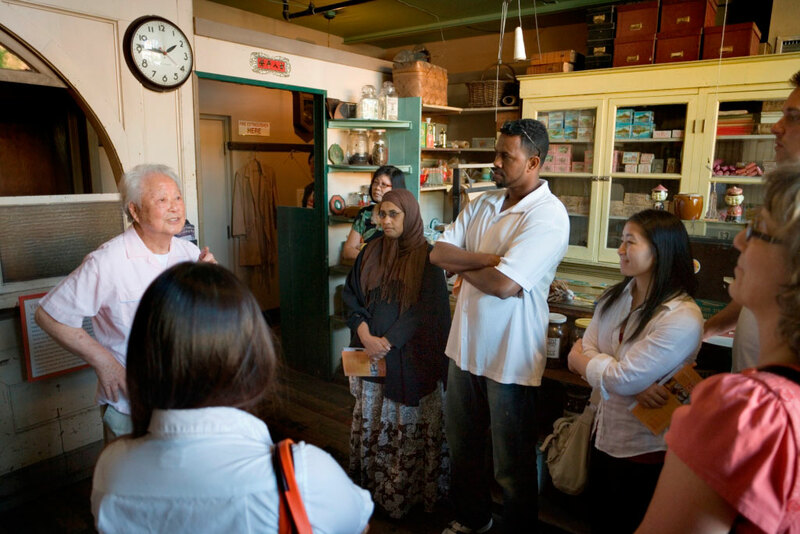 Beginning in January 2014, twenty museums and historic sites across the country launched the National Dialogues on Immigration Project: a bold, new public initiative to use historical perspective to foster dialogue on immigration issues among people with diverse perspectives and backgrounds through visceral encounters with the past. Continuing throughout 2015, this cross-regional series is designed to spark a new national conversation on critical immigration themes of Citizenship and American Identity, Restrictions and Legality, Borders and Freedom of Movement, and Civil Rights and Civil Liberties. The goal? To make opportunities for safe, open dialogue on immigration accessible in every community—including yours. The National Dialogues on Immigration Project is facilitated by the International Coalition of Sites of Conscience.